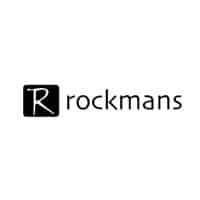 Rockmans.com.au is an online fashion brand for women. The online store sells dresses, tops, tunics, skirts, shorts, pants, knitwear, jeans, outerwear, suiting, lingerie, sleepwear, swimwear and special attire for occasions. There are different types of accessories available on the site including rings, earrings, bracelets, necklaces, scarves, bags, belts, sunglasses and shoes. The noteworthy collections or brands on Rockmans are Table Eight, Beme, W.Lane and EziBuy. There are markdowns available in the sale section. Signing up for their email list will enable shoppers to get a $20 voucher. There is free shipping for all orders worth over $60. There are free returns at retail stores and online.